The Perrino Design Center is located in our award winning showroom featuring everything you'll need to design, decorate and furnish your new home. Call 440-487-4021. Perrino Builders & Remodeling is dedicated to helping individuals and families plan and create their dream home from concept to completion. Spend a day with our ASID Certified Interior Designers creating the home of your dreams. Our design team is here to help you; focusing on what is important to you, open spaces, entertaining kitchens, and home offices - our designs embrace the evolution of living. We’ve re- created the home building process without the stress. Imagine a relaxing and pleasurable day spent shopping for the most up to date, stylish and low-maintenance finishes for your new custom home in one beautiful location. When you’re ready to furnish and decorate your new home, Perrino Furniture offers gorgeous furniture and home accessories to complete the look! 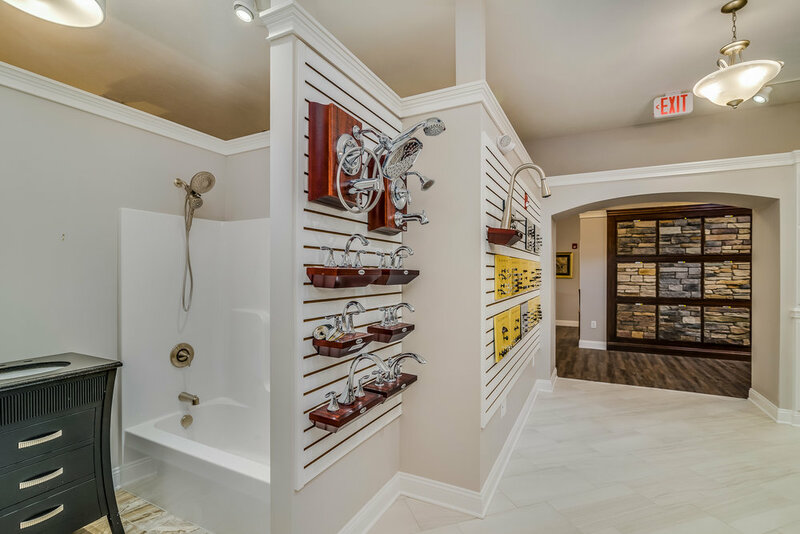 Perrino Builders & Remodeling has sourced an unbelievable selection of the unique, the beautiful and the highest quality selections for flooring, tile, stone, moldings, fixtures, cabinetry, granite and exterior features and brought them all together in their Selection Studio. We offer direct dealer/builder connections, such as Medallion, DalTile, Bernhardt, and Jeremiah Lighting. These are just a few of the many manufacturers that we are direct dealers for! With our direct services including, cabinetry, lighting, furniture and flooring, we can save you thousands of dollars by passing on our dealer direct pricing. Stop in, contact us at 440.919.1000, or email pat@perrino.us for more details. start your dream home today.